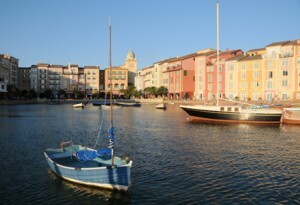 The stunning Loews Portofino Bay Hotel at Universal Orlando. Loews Hotels is celebrating National Ice Cream Month with complimentary frozen treats for guests from4-5 pm all summer long © 2011 Karen Rubin/news-photos-features.com. Loews Hotels celebrates National Ice Cream Month this July with complimentary frozen treats for guests every afternoon all summer long. Available from 4 pm to 5pm daily, roving carts filled with ice cream pops, ranging from bomb pops and ice cream sandwiches to classics such as fudgesicles and creamsicles will be stationed in the lobbies of all 18 Loews Hotel properties across North America for guests to enjoy – free. Loews Hotels is recapturing the spirit of the “Summer of Love” with Summer of Loews, featuring freedom, fun and a variety of activities and offerings for the entire family. Guests of all ages are invited to “Come Invent Your Day” with the help of Loews concierges who act as personal counselors to custom-craft a summer experience that’s as unique as each and every family member. To help feed the soul, chefs at Loews have created special menus that capture the flavors of summer, like BBQs with all the “fixins” to Haute Dogs that elevate the casual dining experience. Guests looking to really beat the heat are invited to any Loews Hotel restaurant to “Invent Your Sundae” featuring three scoops of premium ice cream, whip cream, hot fudge, sprinkles, cherry and choice of three additional toppings such as gummi bears, cookie crumbles, marshmallow and much more. For more information about Loews Hotels Summer of Loews experiences and special offers or to make a reservation at Loews Hotels, call 1-800-23-LOEWS or visit www.loewshotels.com. Headquartered in New York City, Loews Hotels owns and/or operates 18 hotels and resorts in the U.S. and Canada, including the newest 414-room Loews Atlanta Hotel opened April 1, 2010. Located in major city centers and resort destinations from coast to coast, the Loews portfolio features one-of-a-kind properties that go beyond Four Diamond standards to delight guests with a supremely comfortable, uniquely local and vibrant travel experience. Loews boasts some of the industry’s most innovative and successful travel programs, including Loews Loves Kids for families and Loews Loves Pets for discerning animals on the road. For reservations or more information on Loews Hotels, call 1-800-23-LOEWS or check http://www.loewshotels.com. Follow Loews Hotels on Twitter at http://twitter.com/Loews_Hotels, on Facebook at http://facebook.com/LoewsHotels. and watch on YouTube at http://www.youtube.com/LoewsHotels. 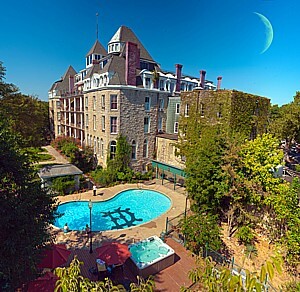 One of the best places to experience Eureka Springs, and have that connection to its heritage and history, is the 1886 Crescent Hotel & Spa, a member of Historic Hotels of America (courtesy of 1886 Crescent Hotel). Families looking for a vacation destination that can offer a lot to do in a small area, fun activities that don’t cost a lot, a safe place for kids to explore, and a place that has a proven track record in creating lifetime memories – in short, who want to do an “exploravacation” this year – can find it in Eureka Springs, a historic Victorian village in the Arkansas Ozarks that is surrounded by lakes and rivers for their family’s “exploravacation” this year. To give kids -and their parents- a head start in exploring downtown Eureka Springs, a Downtown-n-Underground Tour has been developed that traces the town’s history from its beginnings through the Civil War era, the days of Wild West outlaws, right on up to today. Additionally, the downtown Eureka Springs Historical Museum offers numerous maps of hidden walkways and trails of this “city that time forgot”. The community is so historically distinctive, the National Trust for Historic Preservation has named Eureka Springs as one of America’s Dozen Distinctive Destinations. Just minutes from downtown are Table Rock and Beaver lakes, recreational swimming and boating are easily accessible as is world-famous trout fishing in the White River and bountiful bass fishing and floating on the Kings River. Surrounding 85-acre city-owned Lake Leatherwood are 40 miles of trails for hiking and biking, perfect for family outings. For those skilled adventurers, area caves and more rugged trails can be found in almost every direction. Many of these excursions can be found on arkansas-outdoor-adventures.com. Affordable commercial attractions abound, too. The list includes such “must sees” as Turpentine Creek, a wildlife refuge with the largest collection of lions and tigers and bears in the region; The Great Passion Play remains America’s number one attended outdoor drama; and the Eureka Springs & North Arkansas Railway, a real steam-driven train. Nearby Pea Ridge National Military Park is the perfect entrée into the sesquicentennial commemoration of America’s Civil War. A complete list of attractions, calendar of events, and many activities available for kids and families can be found at reserveeureka.com. “One of the most intriguing aspects of our community is its reputation for our ghosts,” added Moyer. “Perhaps the most famous for ghosts, thanks to nationally televised episodes on such programs as ‘Ghost Hunters’, is the 1886 Crescent Hotel & Spa. This four-story limestone structure is a successful mountaintop spa resort yet boasts of having ‘guests who checked out but never left’.” The hotel offers nightly ghost tours and has a special paranormal website, americasmosthauntedhotel.com. Family vacation packages abound for Eureka Springs. Many can be found at reserveeureka.com. 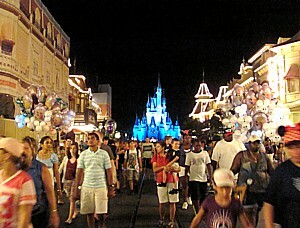 Most of the packages include lodging and attraction tickets while many include some meals. Throughout the season both attractions and places to say will post “hot deals” on facebook.com/officialeurekasprings. Eureka Springs has been attracting family vacationers for more than a century. In fact, the National Trust for Historic Preservation as one of America’s Dozen Distinctive Destinations. One of the best places to experience Eureka Springs, and have that connection to its heritage and history, is the 1886 Crescent Hotel & Spa, a member of Historic Hotels of America. The 1886Crescent Hotel is a palatial structure that echoes the recuperative splendor of the surrounding Ozark Mountain region. The hotel features 15 on-site acres of gardens and nature trails. Located in the historic district with more than 100 restored Victorian shops, restaurants and galleries, the hotel seamlessly retains its 19th-century character, from the Victorian-style Crystal Dining Room to the elegantly furnished guest rooms, without sacrificing a single full-service amenity. The Ozark Mountains premier spa, The New Moon, boasts spa, salon and wellness treatments while the hotel host numerous meetings and wedding events. The New Moon Spa, the recently rebuilt conservatory the addition of luxury suites in the previously vacant stone annex reinforce the modern identity of this century-old hotel. By the way, frequent paranormal sightings rank the hotel as one of the most haunted hotels in the U.S.
(1886 Crescent Hotel & Spa, 75 Prospect Avenue, Eureka Springs, AR 72632, 479-253-9766, www.crescenthotel.com, Historic Hotels of America toll-free reservations number, 800-678-8946). 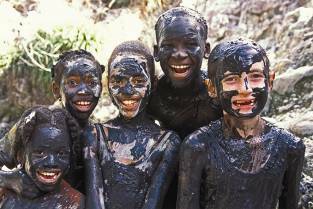 Saint Lucia is inviting families to “Go Bananas” this summer with their popular family program featuring many of the island’s resorts and excursions. Kids can tap their inner pirate to hunt for treasure with a special “Go Bananas Treasure Hunt,” play in the mud at the Sulphur Springs, go ziplining through the rain forest and mix up delicious banana inspired “mocktails.” And parents will appreciate a special “Go Bananas Express” immigration line, room upgrades, discounts at restaurants and free babysitting. § “Go Bananas” kiddy mixology sessions at participating hotels where kids can learn how to make non-alcoholic beverages with bananas. Adult version classes too! Participating hotels include: Almond Morgan Bay, Bay Gardens Beach Resort & Spa, Bay Gardens Hotel, Bay Gardens Inn, Coco Resorts, Coconut Bay Beach Resort & Spa, Cotton Bay Village, Discovery at Marigot Bay Resort & Spa, Fond Doux Holiday Plantation, Four Springs Villa, Habitat Terrace, Hilltop Views Guesthouse, La Haut Plantation, Royal by rex resorts, St. Lucian by rex resorts, Smugglers Cove Resort & Spa, The Landings, Village Inn and Spa, and Windjammer Landing Villa Beach Resort & Spa. Participating attractions include: whale watching with Captain Mike’s, Rainforest Sky Rides, International Pony Club Horseback Riding, Rainforest Canopy Adventures, Eastern Caribbean Diving, Fond Latisab Creole Park, Fond Doux Plantation, Grande Anse Turtle Watch, Latille Waterfall, Lushan Country Life, Mamiku Gardens, Morne Coubaril Estate/Soufriere Hotwire Rides, Pigeon Island National Landmark, Heritage tours of Saint Lucia including the Sulphur Springs, and Trims Riding Academy. For more information about the “Go Bananas Summer Family Program” and the island of Saint Lucia call 1-800-456-3984, or visit www.saintlucianow.com. When the snow melts, Vail blooms with activities, events, including many that are free. This summer, Vail’s guests can expect thrilling activities like the Top-of-the-Mountain Tour, classic events like Friday Afternoon Club, dining at its finest at Game Creek Restaurant and beautiful blue sky days with temperatures in the high 70’s. Enjoy a scenic summer ride on the Eagle Bahn Gondola (#19) from Lionshead to Eagle’s Nest where you’ll find views of magnificent peaks and an array of affordable dining and adventurous activities for all ages and abilities at your fingertips. Weekend operations begin June 3 and daily operations begin June 23-Sept. 5. *See Vail Mountain summer operation dates and hours listed below. Family-friendly putting comes to the Lionshead base area this year with the debut of Vail Mountain’s new 9-hole mini golf course. Children and adults of all ages will be able to practice putting their hole-in-ones underneath the Colorado sun when the new course debuts early this summer. With a location set in front of the Lionshead summer ticket office, the 9-hole course will feature a unique interpretive animal theme that spotlights a different local animal species at each hole. More information will be available soon at www.vail.com. After its introduction late last summer, the Top-of-the-Mountain Tour returns for summer 2011. Combining affordable, accessible adventure for all ages with incredible views of Vail’s legendary Back Bowls, the Gore Range and Mount of the Holy Cross, the new motorized mountain tour starts its 11-mile loop at Eagle’s Nest, passing Two Elk and Patrol Headquarters with a final destination of the Orient Express Lift (#21) at the top of China Bowl. Top of the Mountain Tours start at $25 a person and can also be combined with lift and lunch packages. Take a guided horseback trail ride through Game Creek Bowl. 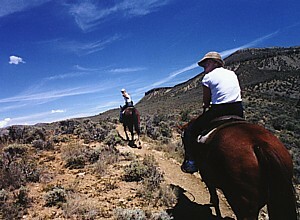 The 40-minute trail rides begin at the Eagle’s Nest corral for adults and children, ages 7 and up. Full tours start at $50 per person and can be combined with lift and lunch packages. One way tours to Game Creek Restaurant are available for guests who wish to enjoy a scenic horseback ride followed by a complete culinary experience at Vail’s distinctive on-mountain dining establishment. Prices start at $95 for adults and return transportation to Eagle’s Nest is provided. Children ages 2–6 years can enjoy pony rides around our mountaintop corral for just $10. Guests and locals alike kick off the weekend with Vail’s Friday Afternoon Club (FAC) at Adventure Ridge, high atop Vail Mountain. FAC starts at 5 p.m. on Talon’s Deck every Friday beginning June 24-Sept. 2 and features the best views in the valley with amazing sunsets, free live music and activities, food and drink specials, and more. Full schedule TBA at www.vail.com. Race to the top of the climbing wall at Adventure Ridge, starting at 10,350 feet, or soar to new heights on the bouncing bungee harnessed trampoline at Adventure Ridge. Vail Mountain’s 18-hole self-guided disc golf course begins at the top of the Pride Express Lift (#26), winds up to the western edge of the ski area boundary, wraps below the Eagle Bahn Gondola through the Little Eagle Lift (#15) area and ends near Thunder Cat Cave. Maps are recommended and available at the information desk at the top of the Eagle Bahn Gondola. The course is designed for all ability levels and discs, putters and drivers can be rented at Eagle’s Nest for just $10. The course is free to those with their own equipment and disc golf equipment can also be purchased at the Vail Sports location at Eagle’s Nest. With all the fun summertime activities offered at Adventure Ridge – pony rides, disc golf, a climbing wall and rebound trampolines – why limit yourself to just one? Purchase an Action Pass and enjoy three activities of choice for just $22! Grab your friends and family and try your luck at horseshoes, bocce ball, bean bag toss or the new slackline park where kids and adults can test their balance at a variety of levels. Children age four and up are invited to dig through sand to uncover dinosaur bones and learn about prehistoric creatures through an educational display. Digging tools and a map are provided. Located in an all-seasons yurt adjacent to the Eagle Bahn Gondola atop Vail Mountain, the Nature Discovery Center has provided the visiting public with meaningful access to the wonders of the natural world since opening its doors in 2000. The mountain top nature center is open during the winter and summer seasons and features an array of natural history exhibits and artifacts related to Vail Mountain. Ridge Route: Intermediate climb from Eagle’s Nest to Wildwood and back with spectacular views of Mt. of the Holy Cross and the Sawatch Range. 2.8 miles, 1.5-2 hours. Ptarmigan Loop: This scenic, 360-degree-view trail through shaded woods connects with Ridge Route at Wildwood to Ptarmigan Point and back. 1.2 miles, 30-40 minutes; Loop with Ridge Route: 4 miles, 2.5 -3 hours. Grand Escape: This trail offers an alternative hiking experience with spectacular views of the Gore Range. Combine with Ridge Route for a loop. 1.5 miles; 1.5-2 hours one way. Forgo the blacktop pavement and enjoy a run surrounded by nature on one of Vail’s many scenic trails. Runners will find a variety of trails and terrain throughout Vail that are sure to meet their fitness needs all while providing extraordinary views of the lush summer landscape. Lucy’s Loop: NEW! Beginner loop from Eagle’s Nest to Mid-Vail and back. Hanks Hideaway: A fun yet challenging single-track that leads from Lion Down to Lionshead Loop. 1.2 miles. There are scores of free activities and events during the summer at Vail Mountain. A free hour long walking tour of Vail’s public art collection meets Wednesdays at 11:00 am at the Vail Village Visitor Information Center on the top level of the parking structure. The tour then winds its way through the Village with discussions of master planning and the importance of site specific commissioned art in creating the charm of the village. Visit www.artinvail.com or call 970-479-2344 for more details. Located in an all-seasons yurt adjacent to the Eagle Bahn Gondola atop Vail Mountain. Join Walking Mountains Science Center on a morning or afternoon nature walk and discover how plants and animals adapt to the high elevation environment as you identify signs of life on Vail Mountain; call (970) 754-4675 . Depart from the Vail Farmers’ Market Join the Nature Center for a casual stroll along Vail’s streamside paths. Tours depart from the Vail Nature Center booth at the Vail Farmers’ Market Sundays throughout the summer. No reservations required. Nestled along the banks of Gore Creek, this 7 acres forest, meadow and stream are a delight and peaceful place known by many locals and visitors as their favorite place in Vail. Explore or take in one of the educational programs offered. For more information, please call (970) 479-2291 . Enjoy the highest botanical gardens in the world with a unique collection of alpine, sub-alpine and other mountain plants and flowers. Open from dawn to dusk daily through September with tours, children’s programs and many other daily activities; call (970) 476-0103 . Looking for something to do with the entire family? Vail Sports invites you to participate in our free Family Fun Rides daily from Memorial Weekend through Labor Day Weekend. Experience Vail like never before with our one-hour guided ride through Lionshead Village, Vail Village, and Golden Peak. You may bring your own bike or rent a bike with us (bike rentals start at $16) . For more information, contact Vail Sports at 970-476-3600 or visit vailsports.com. Ford Park, Pirateship Park, Donovan Park, Bighorn Park – each is different – check them all out to bring a smile to the kiddo’s faces! There’s no better place to just relax and enjoy your surroundings than Vail – with benches and beautiful sitting areas all around to breathe in the fresh air and enjoy the summer time flowers and surrounding landscapes. You may even happen upon one of our street entertainers as you relax and enjoy. And be sure to take in the many fountains and water features throughout Vail Village. Kids love story time and arts & crafts. Toddler Story Time (ages 18-30 months) is from 10am -11am and Preschool Story Time (ages 2-5 yrs.) is from 11am-12pm. Hiking around Vail and atop Vail Mountain is always free! Enjoy spectacular wildflowers and wildlife as you explore the nature and forests of Vail. Pack a picnic and your camera! Residents and visitors are encouraged to join the VRD for its free, weekly running club this summer that will lead participants around Vail’s scenic recreation paths and mountain trails. The club will be led by local runner Greg Decent and will meet at 5:30pm on Thursdays, beginning June 23 at the base of the Vista Bahn in Vail Village, located in the Mountain Plaza area. For details, email jgunion@vailrec.com. Check out the many sports tournaments taking place at the Ford Park and Vail Athletic Fields. The majority of the events are free to watch and include some of the nation’s best soccer and lacrosse teams and players. Head to the LionsHead parking structure and check out Vail’s free skatepark. Open dawn to dusk daily, the free skatepark features a half-pipe, pyramid, multiple ramps, transitions, rails and banks, plus a street course area for younger or less experienced riders. Enjoy a free tennis match at the Golden Peak Tennis Courts. Tennis can be played at the courts on a first-come, first-served basis for free. Free Fly Fishing Casting Clinics! Gore Creek Fly Fisherman is pleased to offer complimentary daily casting clinics at 10:30am in Vail Village along the Gore Creek Promenade. The clinics are perfect for those who have never fly fished before and are considering trying the sport. They are also perfect for those just wanting to brush up on their technique. One of our expert staff will lead the demonstration, and he or she will be able to answer any general fly fishing questions; call (970) 476-3296 . This annual free summer concert series is hosted at the Gerald R. Ford Amphitheater Tuesday evenings throughout the summer months. With shows ranging from rock to country to bluegrass to funk and beyond, the Bud Light Hot Summer Nights has become synonymous with summer for locals and visitors alike. Throngs of music lovers gather at the Amphitheater each week to enjoy sunshine, picnics, friends and incredible free music. Come be a part of the country’s largest celebration of mountain sport, soul and culture as professional and amateur adventure athletes converge upon Vail to compete in a variety of adrenaline pumping sports. Watch as competitors run, climb, bike, kayak, raft and fish for cash purses and ultimate bragging rights June 2-5. The weekend is rounded out with concerts, film screenings and plenty of after-partying to make this event the perfect summer kick-off! Beginning Aug 22nd and continuing through Aug 28th the USA Pro Cycling Challenge is a grueling 600-mile, seven-day bike race that winds through some of the most majestic and treacherous terrain Colorado and the Rocky Mountains have to offer. The pedaling begins in Colorado Springs and hits 11 other cities and towns along the way as bikers ascend and descend their way into the Vail on day four of the race, Aug 25. Racers will cross the finish line in Denver after seven days of arduous cycling over a mix of mountain, sprint and downtown stages. Lance Armstrong was instrumental in establishing this new race which is designed to be the most challenging event in U.S. cycling history! For more information visit www.usaprocyclingchallenge.com. One of the leading music festivals in the country, this event is complete with world-class orchestras, soloists and venues. With three outstanding resident orchestras and guest soloists from around the world, Bravo! brings truly first-rate classical music to Vail. And, with a setting as stunning as the performances, this festival is a summer tradition that should not be missed. This legendary festival draws artists from across the globe that come to perform in Vail’s spectacular setting. Highlights for this years’ event include the Beijing Dance/LDTX, the American premiere of Natalia Hills and Gabriel Miss’ tango show, a new work by Larry Keigwin, as well as performances by The Pacific Northwest Ballet and the Paul Taylor Dance Company. For more information or to book a summer vacation at Vail Mountain, visit /www.vail.com .